Ford Inside News Community > Discussion Area > Ford Car Discussion > Smaller, Sportier, Replacement? View Poll Results: The Sportback Poll: Who Would an A5/Buick RSB Competitor Make More Sense For? I really like Sandalwood or Peridot Brown, Tomo Ash wood and the Powder Beige interior color. you surprise me; thought you were thinking of a more medium brown, not light/near-beige nor dark/near-black ... tho I don't really see one like what I thought you wanted, more like that Porsche 'cocoa', whatever they call it. Last edited by 2b2; 05-23-2018 at 07:59 PM. I visited the Audi dealership two days ago and I asked one of the guys there about the exclusive program and those colors. He said it would be really hard to do, and even then the car would take many weeks to come. However, I got to drive the 2018 Sportback and a 2016 Audi A7. (They just sold their 2014 model.) I absolutely LOVED the smoothness of both of them. Although theoretically, both cars are available now, I won't be buying until I finish my undergraduate and start graduate studies. I'm torn between a what then will be a 1.5-2 year old A5 SB, or a 5-6 year old A7, both likely being in the mid $20,000 range. I am keeping an eye on Ford's decisions though to see if they come out with something similar to an A7. Last edited by Nihar Mazumdar; 05-25-2018 at 05:04 PM. With Trump's tariffs I might only have few options that won't be taxed like crazy. As far as 3-in-1 cars go, I know of the BMW X4 (will buy used if chosen) and Buick Regal Sportback that are US-built. Correct me if I'm wrong and help me find similar options. Unfortunately, all versions of the Regal are built at Opel's Rüsselsheim plant in Germany. It's sad that people who want this type of vehicle have to deal with such a price. This is an opportunity for a non-luxury automaker. Last edited by Nihar Mazumdar; 07-06-2018 at 04:46 PM. Interesting to me is that every media release from Ford N.A and journalists write ups always call the Focus Active a "wagon". Is it possible that North American Focus Active will be the wagon variant? On sale since 2012, the third-generation Audi A3 is approaching the end of its life cycle, despite receiving a facelift in 2016. 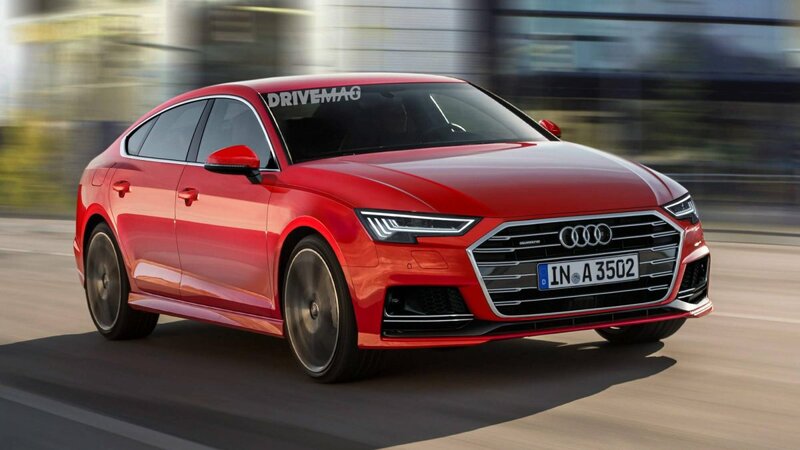 Audi's compact family will see a revamp next year that will bring not only styling and technology upgrades but also a reshuffle in the lineup structure. Oh, and the closest Buick dealer to me is in Bulverde. So it might be inconvenient. The Regal Sportback is nice, but it's not worth the hour long drive to get serviced. Last edited by Nihar Mazumdar; 08-05-2018 at 06:12 AM. An update on my trade in. It's not going to be an Audi.